The visit to the small Southeast Asian country may seem minor in the current geopolitical climate; however, it is far more important in the long run. Laos is tiny with only 6 million people earning on average just over $1000 per year, but the premise of the U.S. Rebalance has always been to re-engage with Asian countries wholesale in an effort to bolster the region. Through Laos, the Obama Administration can solidify its objectives and spur a more holistic relationship with ASEAN. In other words, the President’s upcoming visit to Laos represents the essence of the U.S. Rebalance to Asia as a whole. On the surface, improving relations with Laos seems daunting. Laos is beset by many problems in addition to economic development challenges, ranging from a lack of infrastructure to being a central thoroughfare for the region’s illicit trade network. Historically, the U.S.-Lao bilateral relationship has been rather rocky. Traditionally, policymakers have worked to curb relations with Laos’s Communist government that was deigned partially responsible for the U.S.’s defeat in Vietnam. US Congress protested Laos’s entry to the WTO and criticized the Lao government’s lack of good policies to protect the Hmong minority, whose diaspora forms key constituencies in congressional districts in states like California and Minnesota. Yet, it is because of these hurdles in the U.S. bilateral relationship that make Laos an ideal candidate for furthering the regional pivot. The U.S. Rebalance is concerned with building bridges and opening channels to promote greater collusion between the U.S. and the whole region. This entails reaching out to all of Asia and finding chains that can potentially help the U.S. and intra-Asian growth. Properly mending relationships to promote a greater relationship promotes a sustainable future. Furthering U.S. engagement with Laos will ensure the legacy of the Rebalance beyond the current administration. To do so, the President should confront two significant regional issues: food security and UXO. First, in conjunction with the President’s September visit, the Administration should establish new policies to improve Laos’ food security. Laos experiences some of the highest nutritional deficiencies, child mortality, and maternal mortality in Southeast Asia. To assist with Laos’s food security problem, the Administration could build on successful frameworks for cooperation already in place. Thus, USAID provides programs to supplement good nutrition and improve regional capacity building through the Lower Mekong Initiative (LMI). A joint effort from the Department of Defense, the Oregon Health Science University, and the Lao University of Health Sciences created the Lao American Nutrition Institute (LANI). LANI hopes to revitalize agricultural growth knowledge and practices in Laos. In spurring this effort, the Obama Administration can establish sustainable development policies and build capacity within the Lao government on programs that benefit the whole of Laos’ population. Second, it is paramount for the Obama Administration to resolve the long debilitating unexploded ordnances (UXOs) in Laos. The small munitions left over from the U.S.’ Secret Bombing Campaign over Laos (1964-1973) still saturate much of the countryside and pose a threat to the country’s agriculture and young, vulnerable population. UXOs have been a front row issue in the prior visits by high profile Cabinet members. Ben Rhodes, Obama’s Deputy National Security Advisor for Strategic Communications, highlighted the UXO issue during his visit in November 2015. As a Vietnam veteran, Secretary John Kerry expressed his sincerest wishes towards properly handling the issue and bringing closure to the UXO issue during his visit to Laos in January 2016. Obama would benefit from boosting UXO removal efforts as prescribed by lawmakers. Sen. Patrick Leahy (D-Vermont), has promoted responsible and effective strategies in removing UXOs as well as a deep concern that the U.S. owns up to the Secret Bombing Campaign over Laos by seeing that the country becomes completely UXO free. Regardless of the approach, Obama should set a definite tone over UXOs in the upcoming visit. Taking responsibility to end the UXO threat for good improves the U.S.’ standing in the region and will move the agenda of the Rebalance forward. In his final months, President Obama will be setting the finishing touches on what has been a major foreign policy effort. Above all, Obama would like to set the tone of being invested in improving the whole of Asia, exemplified through a serious responsibility to improving Laos’ development and correcting past US foreign policy decisions that proved detrimental to the region. Laos will be Obama’s chance to set the record straight and cement a sturdy framework for constructive engagement with the region. With this framework, future presidents will be encouraged to do the same: embrace Asia as a whole and continue an approach toward capacity building that ensures a brighter future. The recent leadership change in Laos and the country’s tenure as chair of ASEAN mean that now is an ideal time for the U.S. to step up engagement. This dynamic situation gives U.S. policymakers room to pursue important goals in sustainable development and hydropower on the Mekong. To do so, the U.S. must overcome significant hurdles. Historically, Washington has seen little need to engage with the small, landlocked, and communist country that reminds the U.S. of struggles during the Vietnam War. In 1997, Congress opposed Laos’ entrance to the WTO over marginalization of the Hmong minority. Above all, the U.S.’s wartime legacy issues have been detrimental. During the Vietnam War, the U.S. saturated Laos with cluster bombs, leaving dangerous remnants throughout the countryside. 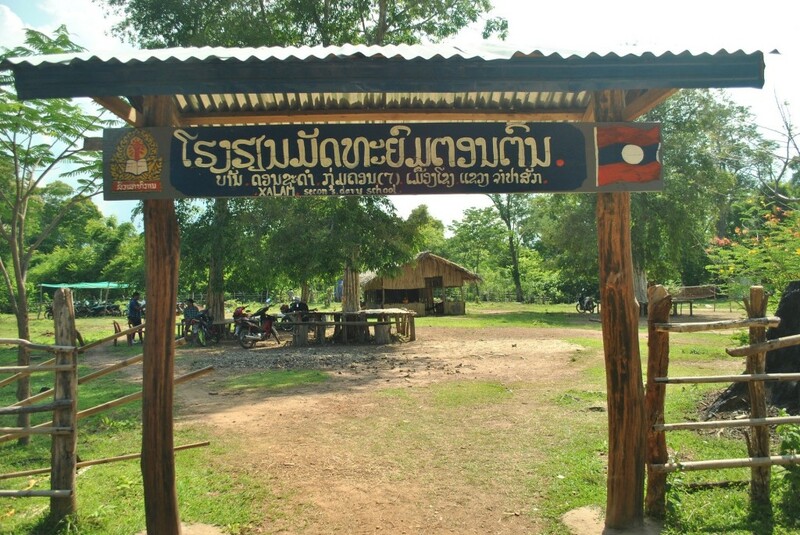 Unexploded ordnances (UXOs) continue to injure and kill, hindering Laos’ development. Yet, even with these obstacles, the political climate is ideal. The U.S. government should aim for better engagement with Laos by committing to economic development and accountability in UXO removal. Laos, as Southeast Asia’s fastest growing country, has shown positive movement in its own economic development, but major improvements are lacking. Timber and copper exports have generated a steady source of revenue. USAID development projects in the agricultural and sustainable livelihood sectors are bringing Laos within reach of middle income status by 2020. Newly designated Prime Minister, Thongloun Sisoulith, has expressed a desire to capitalize on emerging opportunities and open Laos to more intra-ASEAN trade and tourism. Smart investment efforts ensure a brighter future for Laos, yet the country is still very poor and hindered by more complex issues. 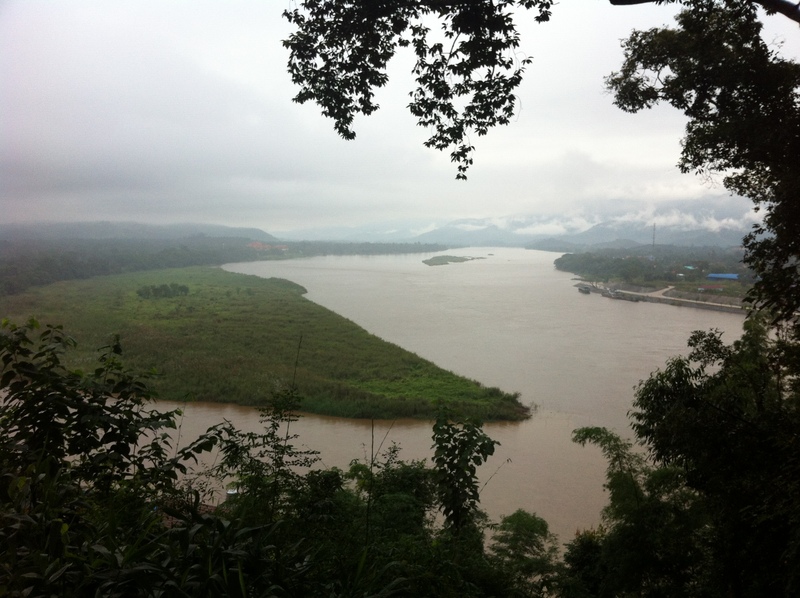 Laos lies at the intersection of the Golden Triangle, an illicit drug trading center that undermines good economies. Nutrition is a major problem. 44% of children in Laos are malnourished and 27% are underweight. Moreover, an estimated 70% of Laos’ population is under the age of 30. 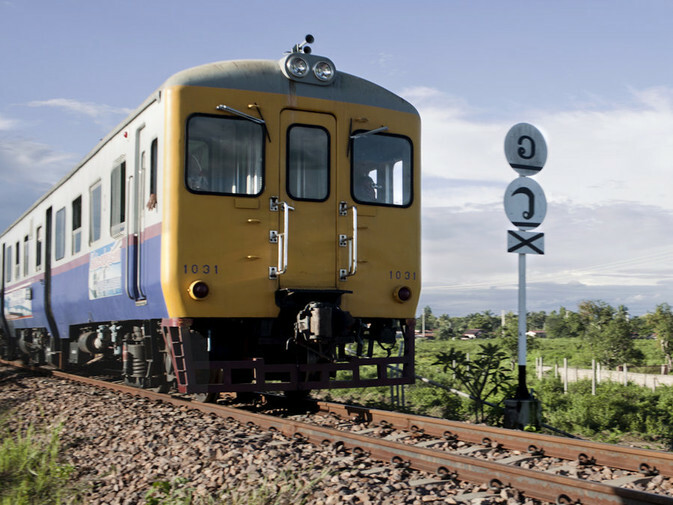 At best, present day Laos is in a state of transition. Laos requires capacity building initiatives to improve continuing development strategies. However, economic development in Laos is not a quick fix as issues literally under the surface threaten Laos’ human security. 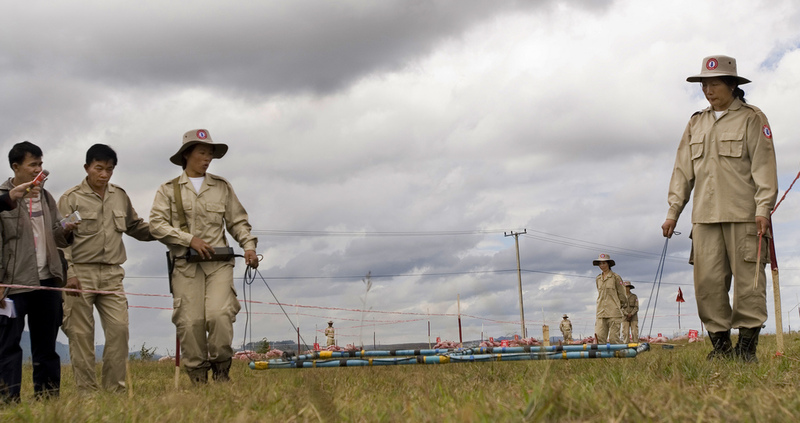 The toll of unexploded ordnance on Laos’s security and development is significant. From 1964 to 1973, according to Lao’s National Regulatory Authority for UXO, over 50,000 Lao citizens were injured by UXO from 1969 to 2008. The most prominent casualties ranged farmers and children doing everyday essential activities, everything from building a fire to playing in a field. Travel through rural areas is noticeably dangerous, as casualties during cross-country travel are frequent. UXOs have dangerously outlived their purpose. 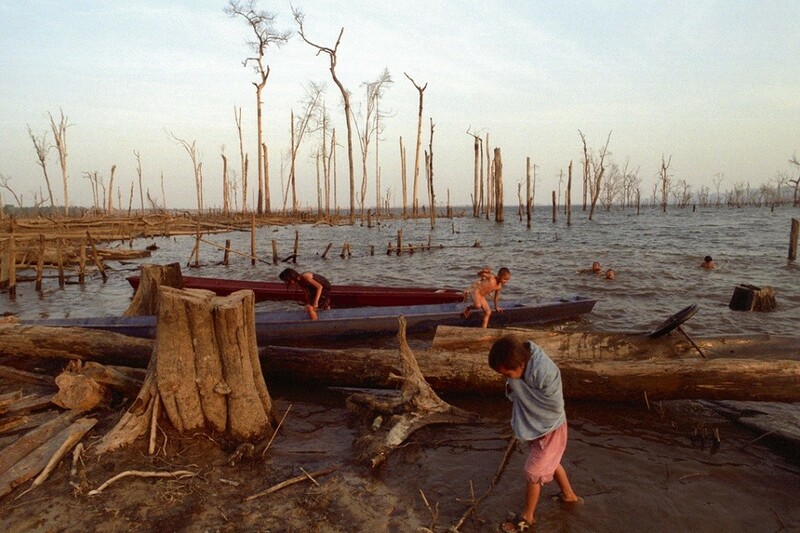 At the start of the secret bombings over Laos, soldiers were the predominant UXO victims. Now agricultural workers and children comprise over 80% of quantifiable post-conflict victims up to 2008. Their injuries increasingly lead to amputation or death. UXOs are an inherent threat to Laos’ human security and economic development. 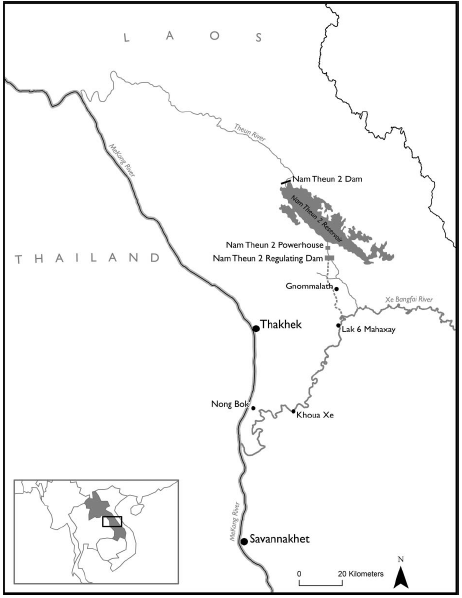 UXO contamination can render lands unusable, much to the detriment of the Lao economy. 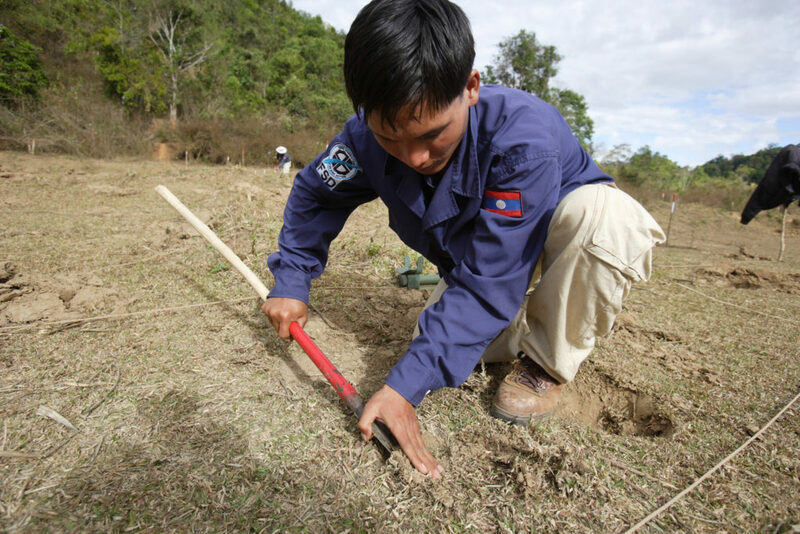 The care and treatment for UXO victims adversely affects Laos’ public health and labor resources. 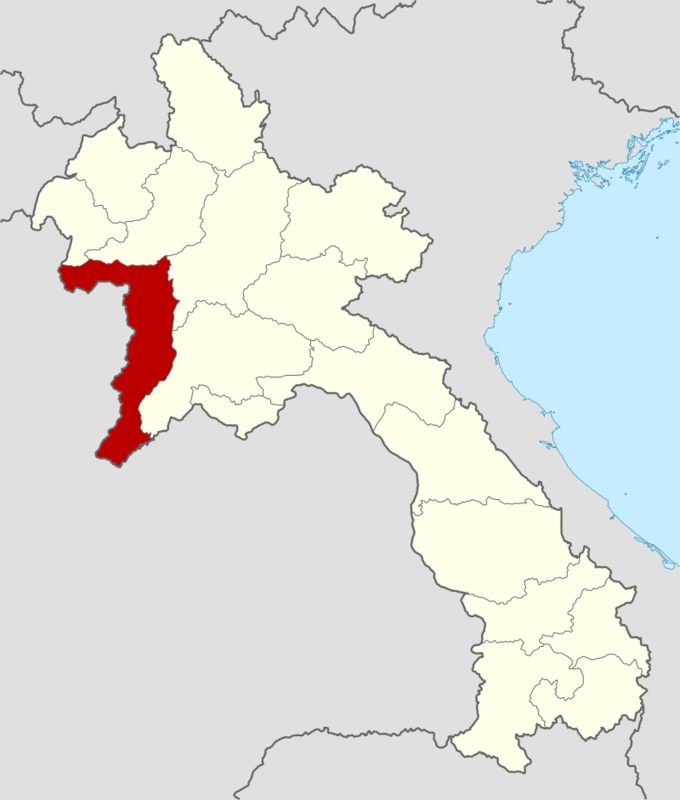 Simply put, Laos’ continued growth cannot happen with UXOs strewn across the country. Development strategies that fail to address the UXO issue may cause Laos’ future prospects may flounder. UXOs are an impediment to the comprehensive growth strategy that Laos requires. A vulnerable population is less likely to improve its capacity for development. The UXO problem is a chronic barrier plaguing a country looking to take a major step in its development. 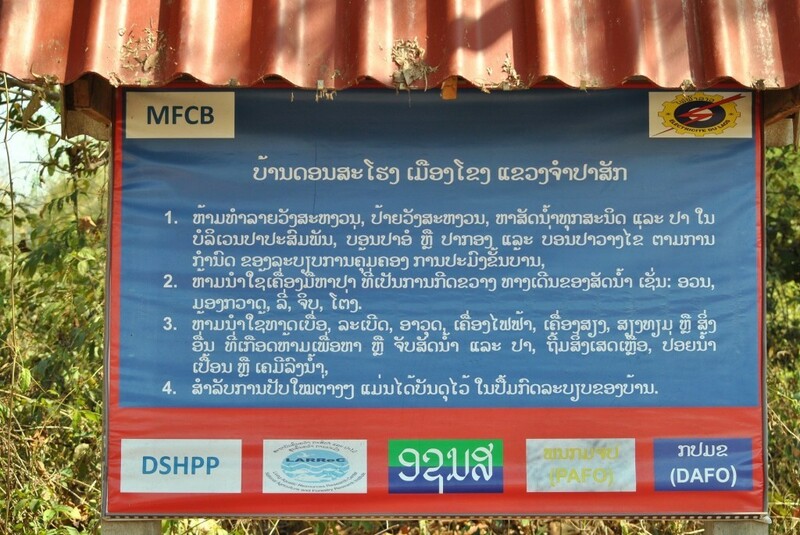 Continuing UXO contamination weakens Lao citizens’ prospects for a sustainable future. Yet, the UXO threat may be gone in the future, as ongoing diplomatic engagement is paving the way for enhanced U.S.-Laos engagement. High profile visits have improved amity between the two nations. Laos has hosted more senior members of the U.S. government in a recent five year span than in the last twenty years put together. 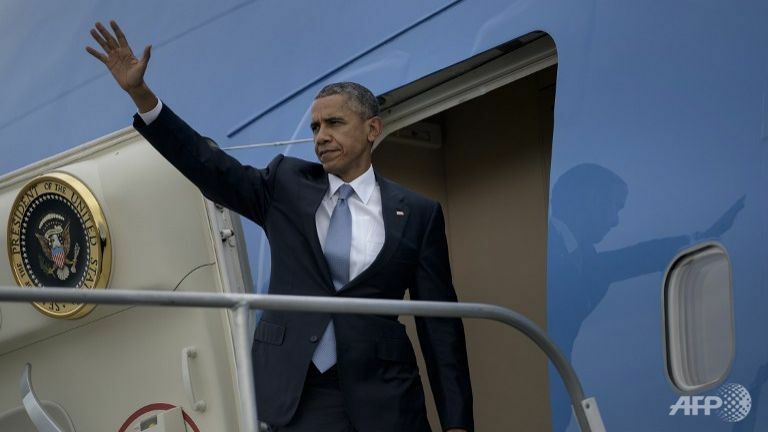 President Obama is set to be the first U.S. president to visit Laos in September. In addition to the high profile visits, the U.S. government has pledged enriched development output to Laos in the form of improving nationwide nutrition and education. During his recent visit to Laos, Secretary Kerry announced that the U.S. would provide $6 million for school meals to supplement children’s daily nutrition and even pledged $19.5 million for weapons removal and abatement. Moving forward, the U.S. should build on the framework set by these visits. Fundamentally, working towards development goals in Laos improves U.S.-Laos bilateral relations, which in turn improve the U.S.’s access to the Mekong and the prospect for sustainable livelihoods on the Mekong. Fostering a renewed relationship with Laos is a core value of the U.S.-Rebalance. If the U.S. is to truly gain access to Asia’s dynamism, it must engage with all members of ASEAN. Bolstering Laos is a smaller but important step toward improving ASEAN’s resiliency. In any case, cleaning up war legacy issues must be high on the U.S.’s policy goals. Above all, UXO removal is a moral imperative, and the U.S. is uniquely equipped towards removing the UXO. 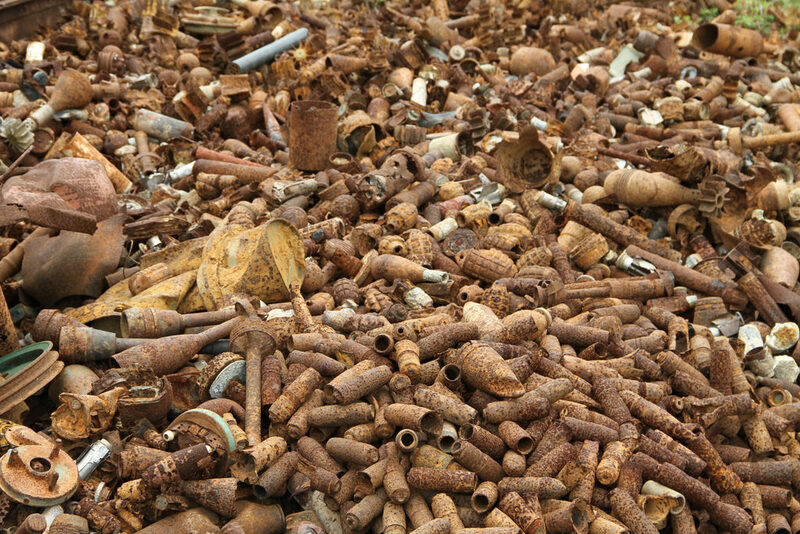 As the responsible party for saturating Laos with cluster bombs, the U.S. is accountable in cleaning its remains. In the waning months of the Obama Administration, the U.S. government has the potential to properly re-engage in Southeast Asia. By taking a vested interest in Laos’ development through and with UXO removal, the U.S. is laying the path back to Southeast Asia. Interestingly enough, the contentious issue that separated these countries for so long can become the key issue that brings the closer together. 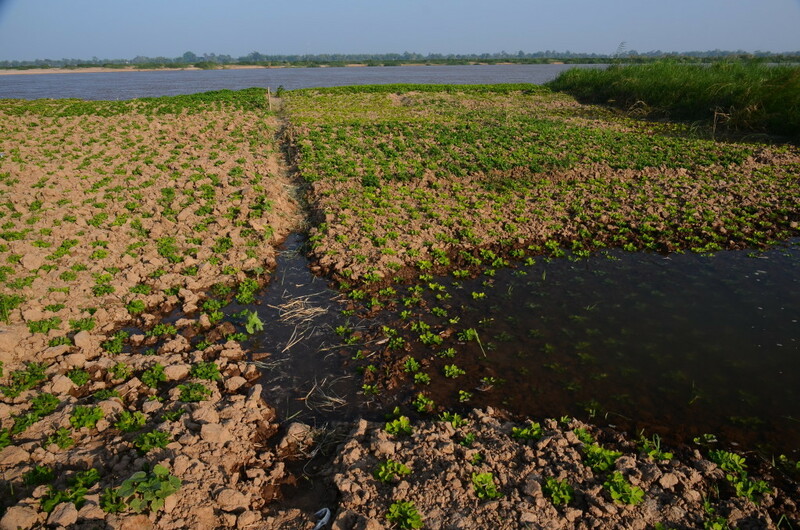 In the ongoing controversy over the costs and benefits of hydropower in the Mekong River basin, there is much debate among governments, private business and civil society especially in Thailand and internationally. 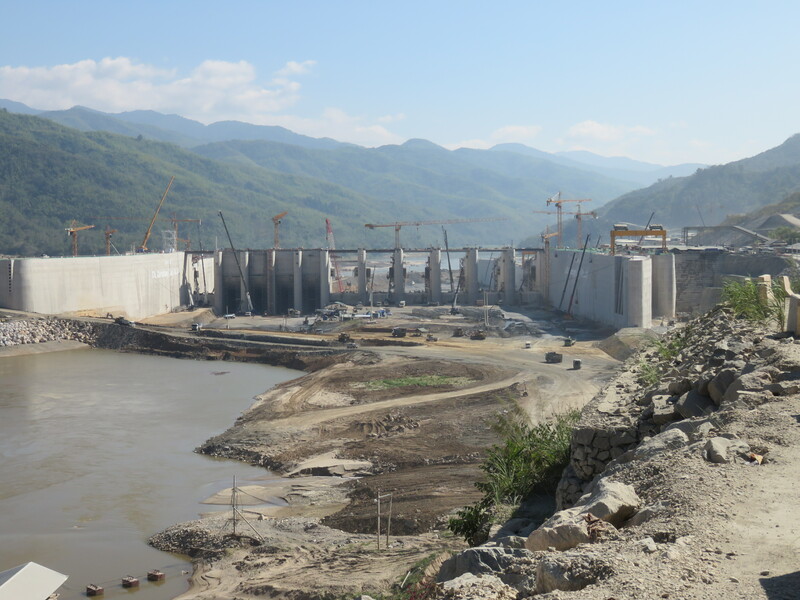 But one voice seems to be always silent in this debate: that of the local communities of Laos in whose country at least two mainstream Mekong dams are being built or planned and who will face the brunt of the projects’ impacts. 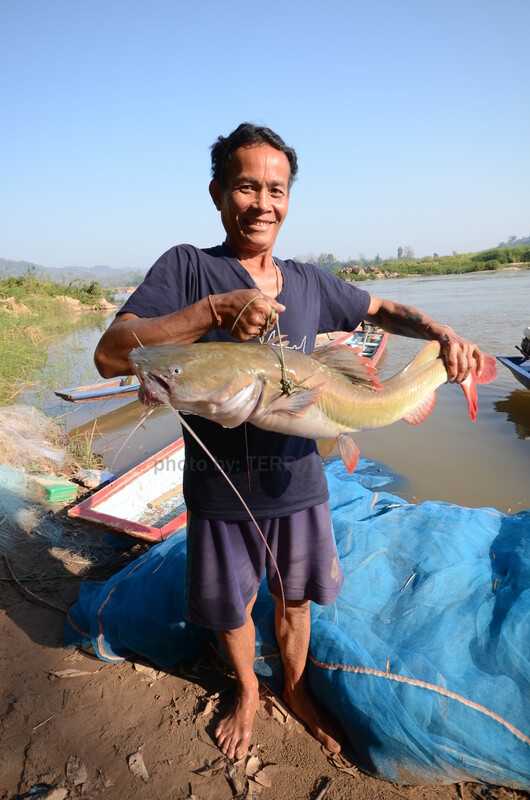 We never get to hear or see an informed opinion from local communities in Laos about the dams under planning and construction although many of these communities would face being displaced or resettled and lose their fisheries and other river-based livelihoods. Laos is often perceived as a peaceful, Buddhist country with verdant mountains, rivers and a rural (and laid-back) way of life. While this may be true on the surface, it is a daily fact of life for Laotians that the ruling Lao People’s Revolutionary Party (LPRP) maintains control over the country’s press and civil society. This also gives the impression that Laos has for the most part a passive citizenry that is least interested in politics. During three years of my field research in Laos, however, I found many Laotians I met always enjoyed talking about politics with me. They have access to Thailand’s radio and television channels, and understanding Thai language is not a problem. Its just that the politics that they could freely talk about was about Thailand not Laos. 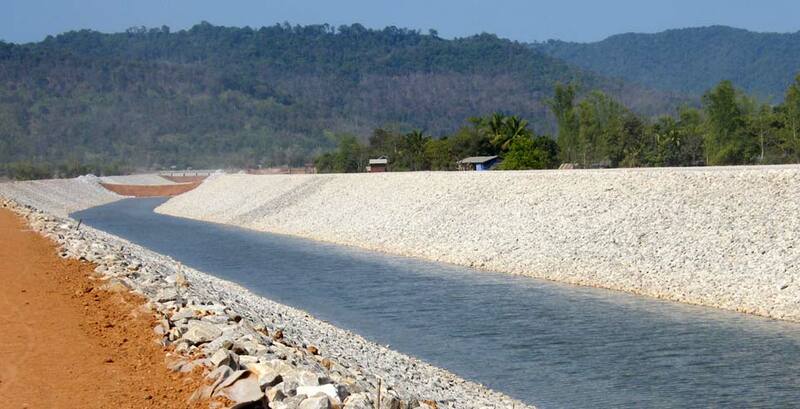 It is not surprising then that the debate about hydropower in Laos is met with silence among Lao people, especially communities, and the people who do voice their opinions are usually those in government or the hydropower business. The Don Sahong Dam threatens the rich subsistence and commercial fisheries in Laos and could pose impacts also in Cambodia, Thailand, and Vietnam. It also threatens the last remaining population of the Irrawaddy dolphins in Laos whose habitat is the Siphandone area. 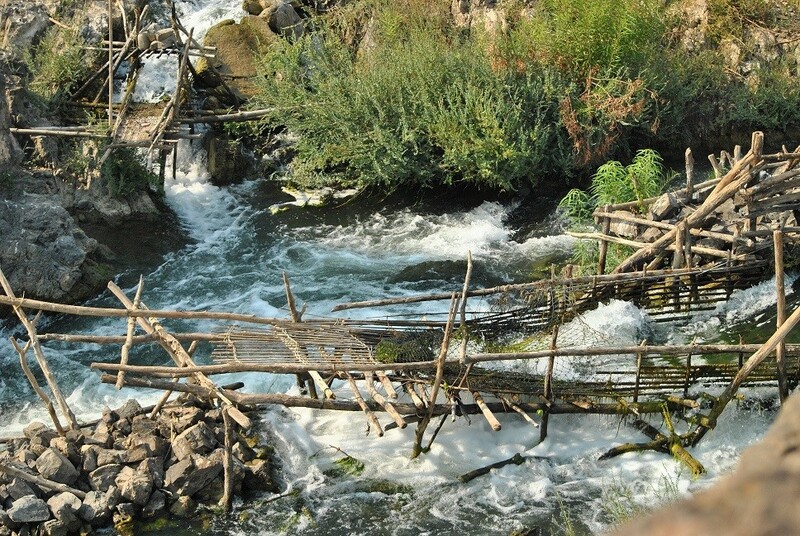 Moreover, the planned water diversion from the Khone Phapheng waterfalls could undermine the area’s tourism. 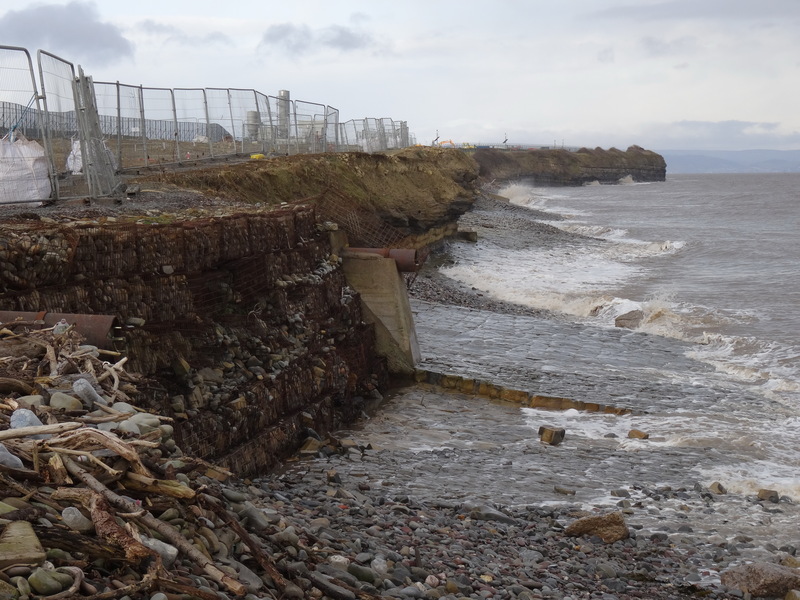 The dam builders and government officials have organized many public information activities about the dam and social or environmental assessment studies to evaluate the potential impacts of the DSHP. I asked my interviewees – the local people in the area – whether they were involved in these studies. 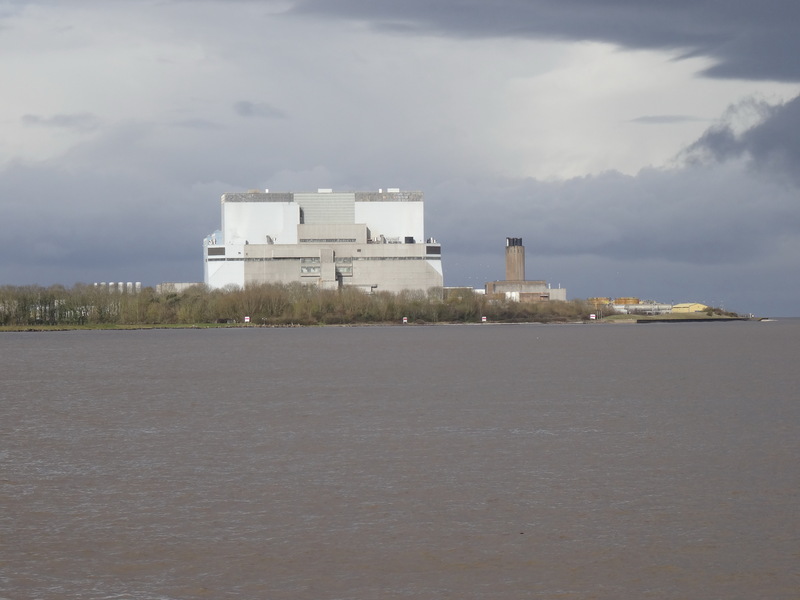 Most said they have never engaged in these studies, and did not know about the DSHP’s expected impacts. 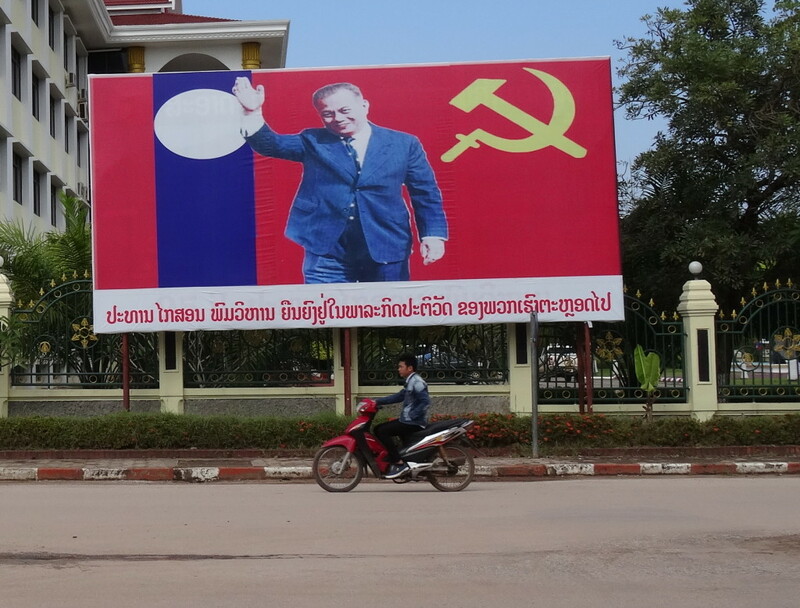 “Laos has only one communist party”. Local people always repeat this sentence several times, before somebody clarifies watchfully: “Nobody is allowed to express their opinions against the party. 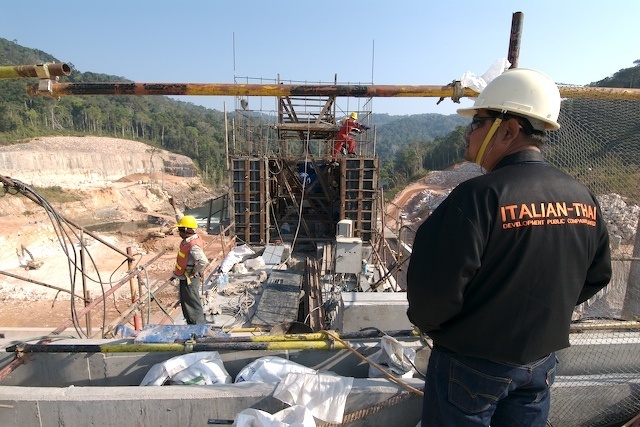 Whether we like the Don Sahong dam or not, it will be constructed.. The public information activities being held by the DSHP developer are not like a “public hearing” process where citizens can freely debate the merits and demerits of the project, ask for information, provide alternatives, raise concerns, etc. 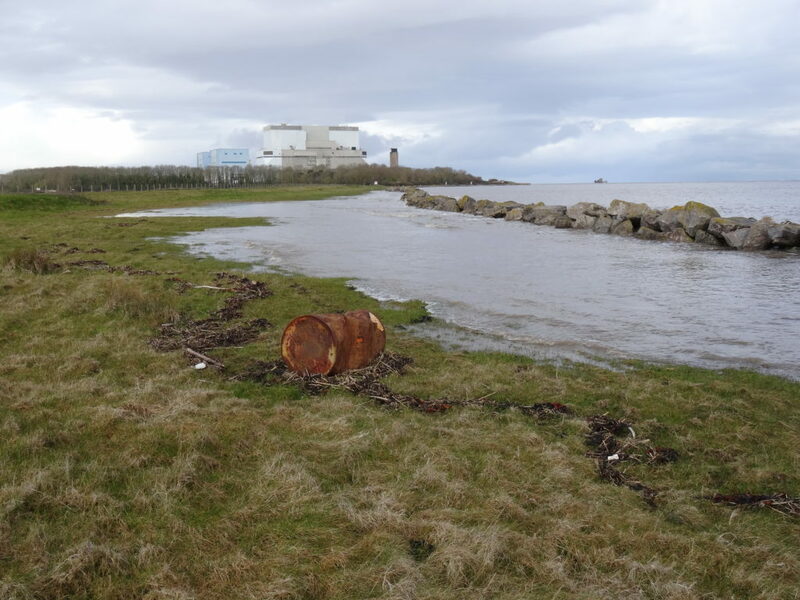 In fact, the DSHP’s public activities does not include the free, prior and informed consent from potentially affected people before going ahead with the project. Moreover, the available documents such as EIA, mitigation and other plans are not made available in the local language. I conducted in-depth interviews with local people who had an opportunity to participate in the DSHP’s public information activities. Most interviewees said the information they received were about the dam’s positive impacts provided by the dam developers, but there was no information about the negative impacts. 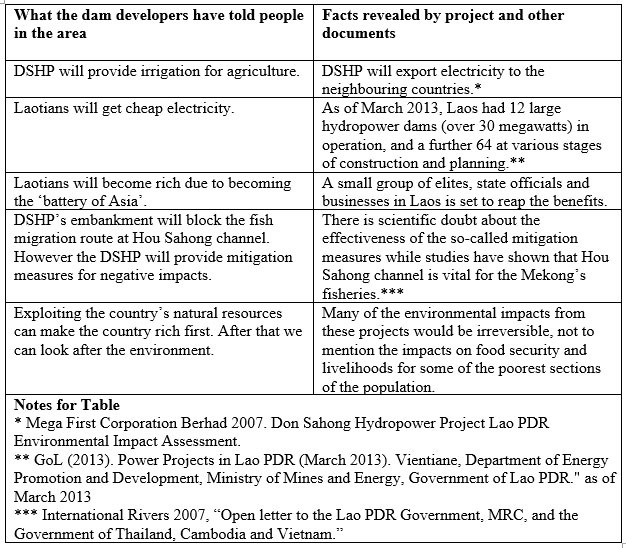 The summary of these efforts at misinformation by the dam proponents are provided in the table below. 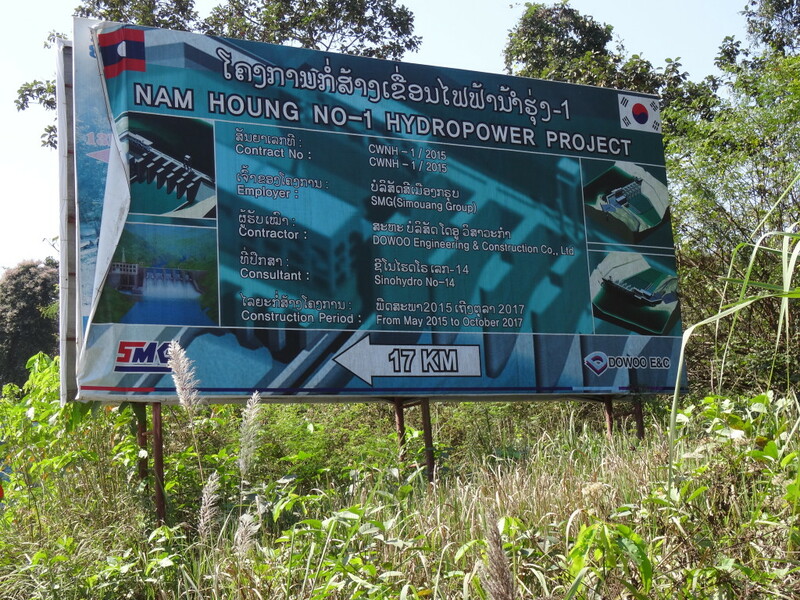 There are few local civil society or nongovernmental organizations (CSOs/NGOs) dealing with issues of hydropower projects and monitoring them in Laos. Moreover, any emergent grassroots-level NGO working on public policy monitoring are viewed with government suspicion as politically subversive troublemakers. 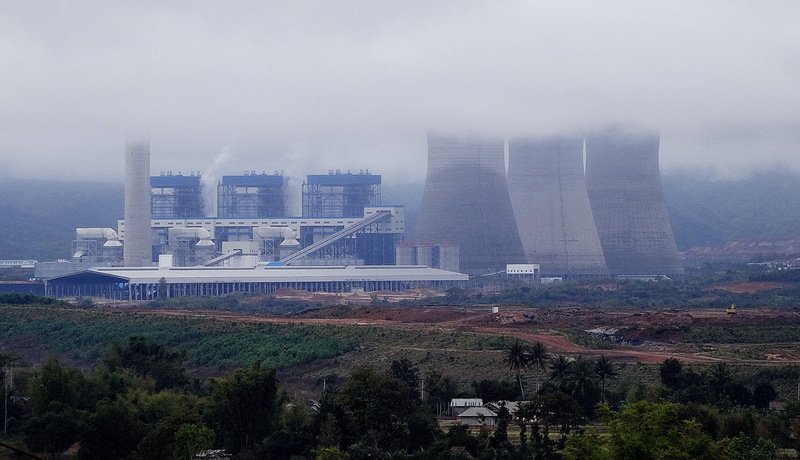 Although a few international CSOs especially based outside Laos have voiced critical views about the Mekong hydropower projects in Laos, their views are ignored by official state policy. The citizenry of Laos (apart from state officials and some influential groups) has only minimal access to information about pending legislation, changes in regulations, or government policy. There are no established mechanisms for government consultation with civil society groups. 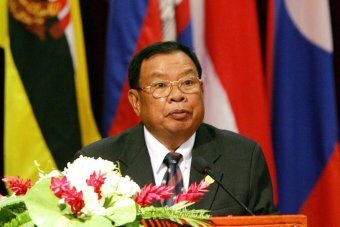 Lao people are also subject to severe restrictions on freedom of expression. The government controls all print and electronic media through the state news agency, Khaosan Pathet Lao. All media content is vetted by the Ministry of Information and Culture. A press law announced in 2001 that would allow limited private media ownership has not yet been adopted. If enacted, it would still impose strict controls, including the power to close publications deemed to be “anti-government”. Article 59 of the penal code sets a prison sentence of 1 to 5 years for anti-government propaganda. Journalists who do not file “constructive reports” or who attempt to “obstruct” the work of the LPRP may be subject to jail terms of 5 to 15 years. Previous violators are believed to have incurred prison sentences of between 1 and 5 years2. The authorities usually harass the English-language press when it does not toe the official line. The act of expressing views opposite to the official view of the state administration or public policies in public spaces is considered taboo. Lao authorities have consistently suppressed political antagonists, cracked down on those expressing critical opinions with arbitrary imprisonments and sometimes enforced disappearance3. The most high-profile case has been the “disappearance” of Magsaysay award winner Sombath Somphone. He was last seen in Vientiane in December 2012. Through these measures, Laotian authoritaries have instilled a fear among the populace of free expression of views. Given this situation described above, it is not surprising that we do not hear about or see the genuine participation or expression of critical views by local communities in Laos regarding the Mekong hydropower projects. 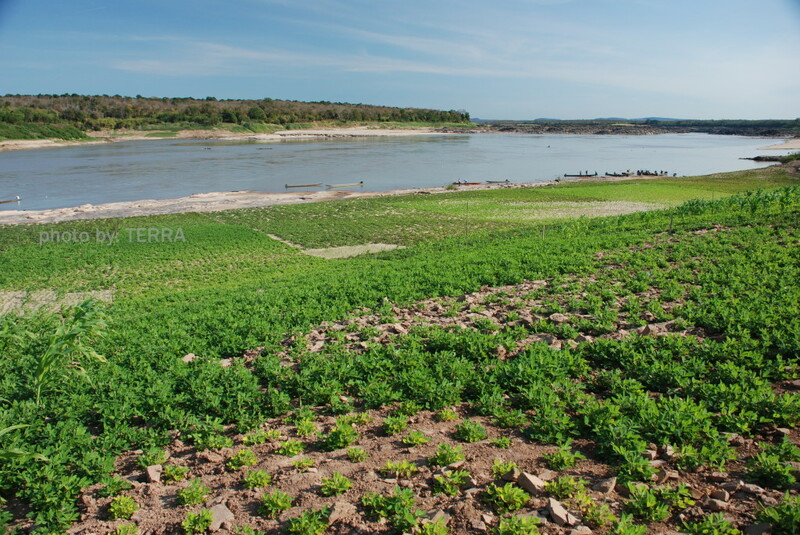 This article written by JeeRung was originally posted here on the Mekong Commons site. It is reposted with permission of the author and Mekong Commons.